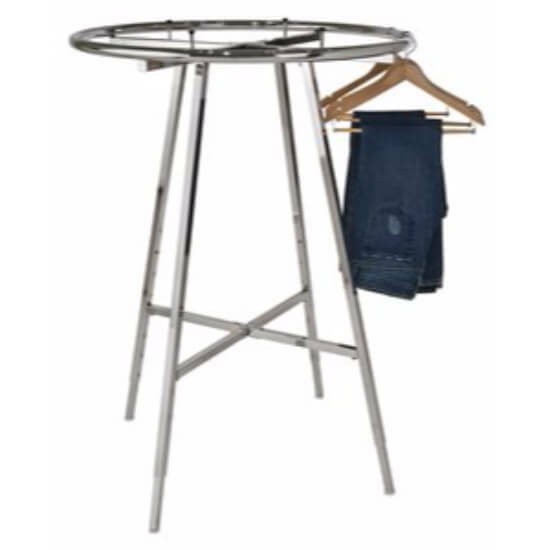 Round Racks are great for putting large amount of clothing in 1 smaller area. The Height is adjustable every 3" from 48" to 66". Uprights are made of 1" square tubing. Adjustable levelers and rubber-tipped shelf supports are included. Cannot be used with casters. 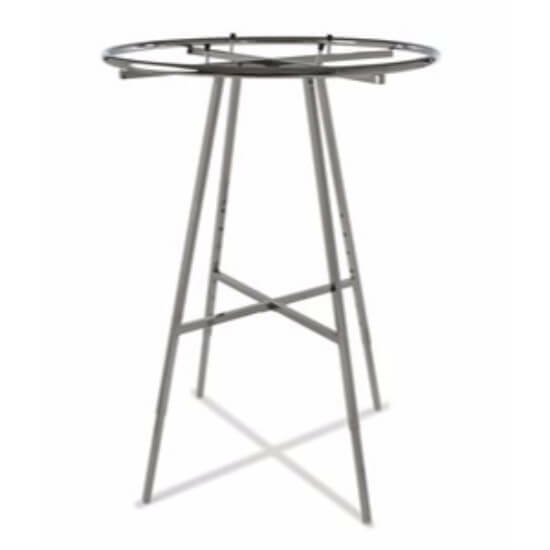 Features a 36" ro 42"diameter hang ring to hang all your stores clothing merchandise.